Inverness is the cultural capital of the historic Scottish Highlands. With over 50 000 residents, it is the largest city of this region. Inverness offers you a picturesque location, enhanced by beautiful historic ruins as well as bustling shops and eateries. The top attractions of the city include Urquhart Castle, River Ness, and Tomatin Distillery Visitor Centre. Get ready to explore this wonderful destination in Scotland, because cheap flights to Inverness are now available for a limited time! The Scottish Highlands capital is home to Inverness Airport (INV), which is a 20-minute drive or a scenic 45-minute train ride from the city centre. Inverness sits on the River Ness, famous for the legend of the Loch Ness monster. Furthermore, there are more wonderful sights, including Ness Islands and Plodda Falls. You’ll be amazed at the number of castles, forts and ruins in the Scottish Highlands capital, including Cawdor Castle, Fort George, and Inverness Cathedral. 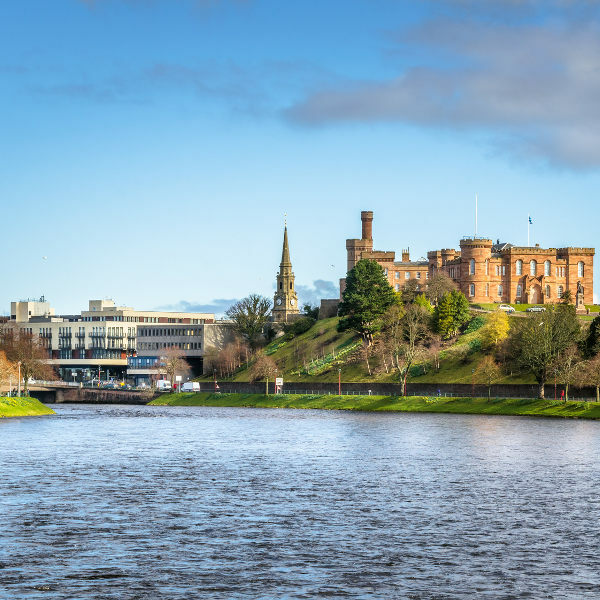 Your time in Inverness will only get better with the friendly and inviting atmosphere provided by the residents of this Scottish city. The most popular period to visit Inverness is from July to August (summer), when the temperatures reach the moderate temperature of 19°C. While this means a more comfortable holiday experience in this Scottish city, the summer is the peak tourist season in Inverness, unfortunately. 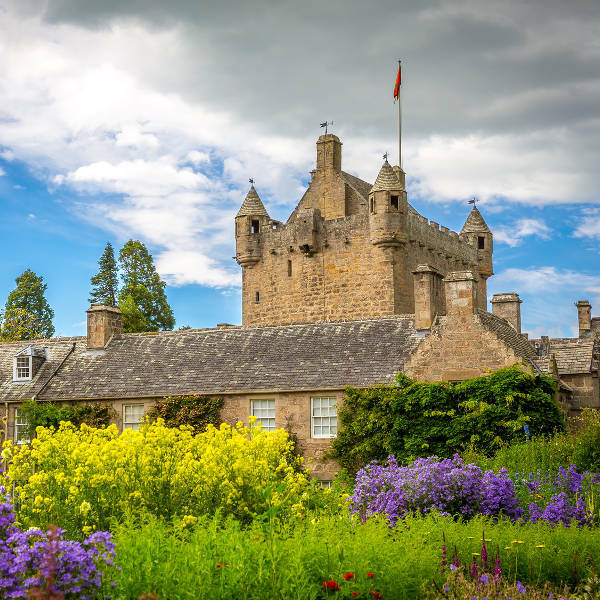 You will have to book accommodation well in advance, hotel rates will be at their highest and you’ll have to explore tourist attractions like Cawdor Castle along with crowds of tourists. While visiting during the winter period (December – February) brings more rain, you will discover that the Scottish Highlands capital takes on a different, yet beautiful appearance during this season. Some tourist attractions and restaurants may close during this time, but you’ll have more availability, the cheapest hotel rates and the pleasure of exploring Inverness at your own pace. Inverness sits on a breath-taking location in Scotland, split in two by the serene River Ness (famous for the legendary Loch Ness). It is enhanced by historically significant buildings and sites, including Inverness Cathedral and Urquhart Castle, and stunning suspension bridges connecting the two riverbanks. Discover the Scottish culture at the Highland House of Fraser, showing how the renowned kilts are made. Inverness also boasts numerous enticing restaurants from around the world, like The Mustard Seed, and many local pubs, such as Number 27, offering a classic pint and hearty pub fair. Additionally, the popular Eastgate Shopping Centre is just one of the many exciting shopping venues in the Scottish Highlands capital. You’re in for an amazing Scottish experience in Inverness. Compare several airlines, and book your cheap flights to Inverness online at Travelstart! Make sure to get all the routine vaccinations before your trip to Scotland in the United Kingdom. Additionally, depending on where you’re going within Inverness, you may need to get vaccinations for hepatitis A, hepatitis B, and rabies. While exploring Inverness, it would be wise to remain cautious, and avoid being a victim of petty crimes such as pickpocketing, by keeping your valuables secure and out of sight.